GREG AND BECKY DAVIS and family have returned to Germany for their second term with Proclaim. Now Greg is adding to his responsibilities serving in the recording studio of Janz Team and teaching in their newly formed music academy, SchallWerkStadt. This is a unique school offering practical training in music and the associative arts and intensive Bible courses to prepare young believers for future ministry and outreach through music. 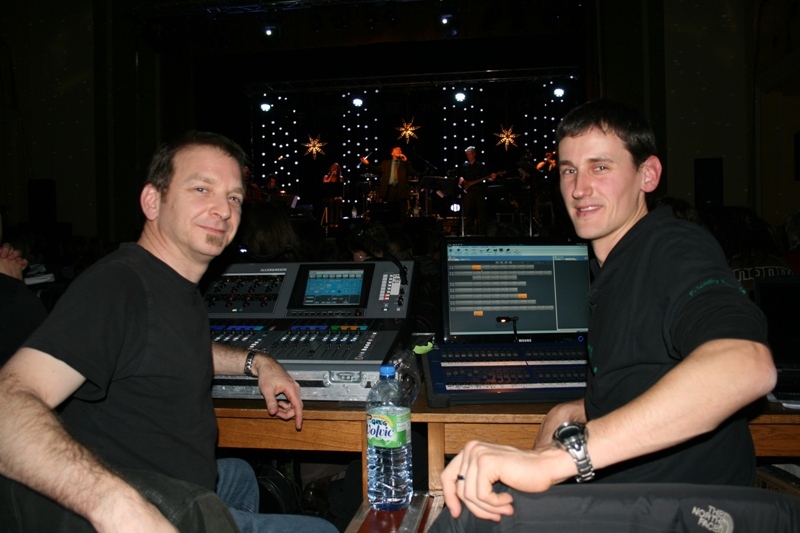 Recently the audio students got practical training on an annual Advent tour in Germany helping with set up and assisting Greg who is the sound tech for the tour. In that process they also learned from experienced musicians who creatively communicated the significance of this Advent season. Greg says, Danny weaves life stories into the performance and the message is clear: the reason we celebrate Christmas is because of Jesus. Almost Heaven . . . Costa Brava . .